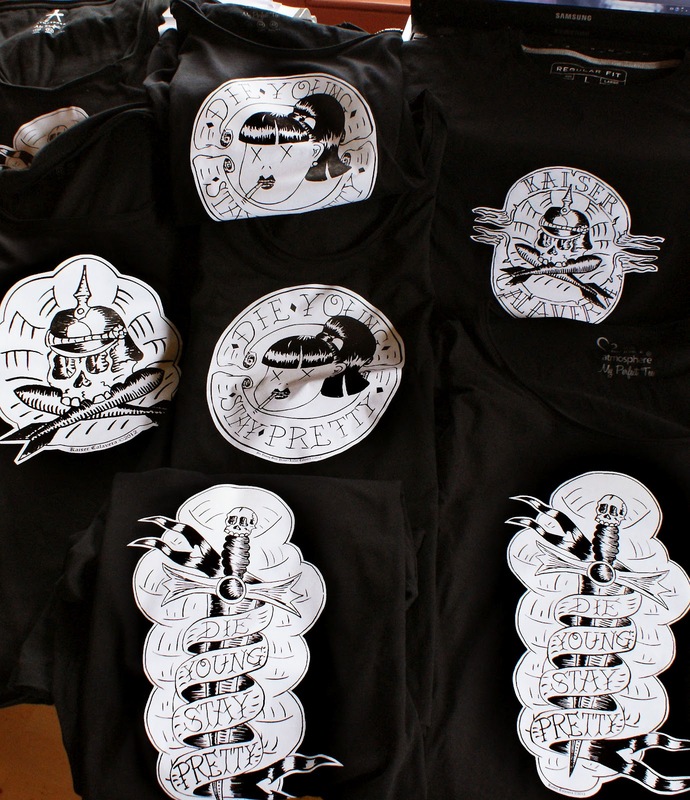 Kaiser Calavera: Our new T-shirts are out! First, we noticed that we do get quite a bit of Traffic from France, which is hardly surprising, given that DIY Market is now nearly upon us! As a result, this blog will now be written in both French AND English... at the same time! We do aspire to reach more people all the time, and so don't hesitate to get in touch if you would like to contribute another language. Otherwise... Wow! Do check out our new selection of T-shirts. 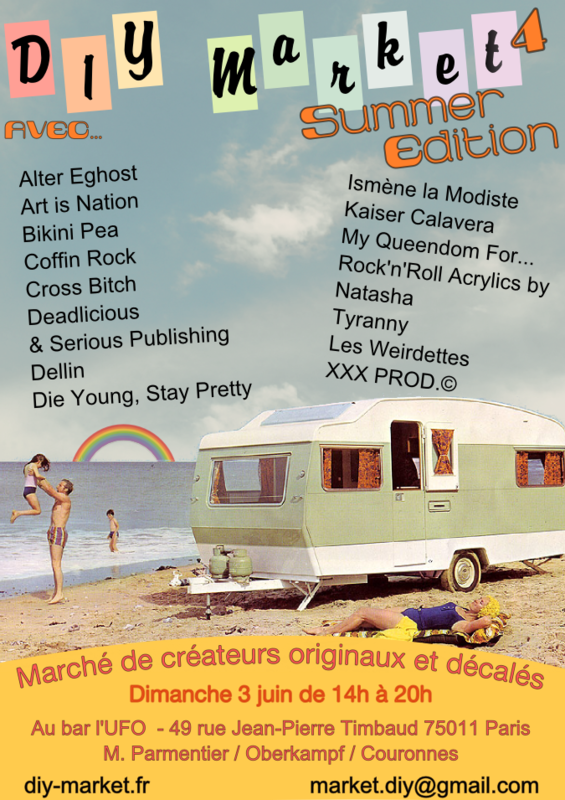 We currently have 5 models out and we're hoping to double that by the time we hit Paris for DIY Market on 3rd June! Premièrement, nous avons remarqué avoir pas mal de traffic en provenance de France. C'est à peine surprenant, comme DIY Market arrive à grands pas. Par conséquent, ce blog sera à présent écrit en français ET en anglais... Simultanément! Nous nous efforçons d'atteindre le plus de monde possible. Aussi, si vous voulez aider en ajoutant une langue suplémentaire, contactez nous! Sinon, Wow! Regardez notre nouvelle sélection de T-shirts. On a 5 modèles dispo en ce moment, et on espère en avoir 5 de plus d'ici DIY Market le 3 juin! These are available in all sizes for worldwide shipping now! Nos nouveaux T-shirts sont arrivés et peuvent dès à présent être postés dans le monde entier.